Approximately half the Asian population has a fold above the eyelashes, while the other half do not. The surgical technique used by Dr. Chan to create an eyelid fold is called Asian double eyelid surgery. The goal of this procedure is to give patients a natural looking eyelid fold. How is Asian Eyelid Surgery in Portland Performed? There are various types of procedures Asian Eyelid surgery, however the incisional technique is the most commonly used due to its effectiveness. Dr. Chan’s precise method for surgery depends on the shape of your eye and is based on his experience and expertise. Incisional Technique: Dr. Chan will determine the best locations for incisions based on your anatomy. The amount of skin to be removed can also be determined based on the desired height of the crease. Dr. Chan will meticulously shape your new crease by removing skin, fat and tissue. Another method that is used less commonly is the suture technique. This procedure involves passing sutures inside the eyelid to create a crease. Discuss with Dr. Chan your cosmetic goals and medical history to determine which procedure is best for you. When looking for a surgeon to perform your Asian eyelid surgery, be sure he/she has extensive experience with procedures specific to the Asian community, such as Dr. Chan. What Can I Expect After Asian Eyelid Surgery? Recovery for Asian blepharoplasty can be a bit longer than a traditional blepharoplasty. Since the cuts are made deeper to create a crease in the eyelid, there may be more swelling and bruising. 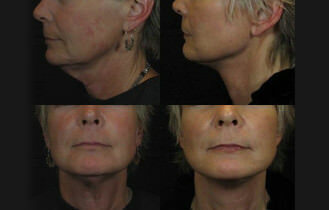 Most patients see a significant improvement after 2 to 3 weeks. How Much Does Asian Eyelid Surgery Cost? The cost for your blepharoplasty in Portland will depend on many factors, including your desired results and the technique used for surgery. Dr. Chan and his staff are happy to discuss all of your pricing and financing options at your initial eyelid surgery consultation. Eyelid surgery is generally considered cosmetic so it will not be covered under your insurance.